A few weeks back, a reader named Randy sent me a tip about an article dealing with money and (in)fidelity. While the concept of infidelity is typically used in the context of adultery, infidelity is more generally defined as disloyalty. The article then goes on to discuss the concept of financial infidelity — that is, keeping financial secrets from your spouse. Financial infidelity comes in a variety of shapes an sizes, ranging from lying about how much something cost or hiding a purchase to maintaining a secret credit card or bank account. Of course, marital infidelity and financial infidelity often go hand-in-hand (consider Elliot Spitzer and his $5k call girls), but that’s not always the case. While many instances of financial infidelity are relatively inconsequential, the article details some whoppers. Consider, for example, the woman in a rocky marriage took extra cash back every week when she bought groceries — after 25 years, she ended up with $250k in a bank account in her sister’s name. Or the guy who ran up $20k in credit card debt in the span of 18 months using four cards that his wife didn’t know he had. According to a recent survey, 48% of respondents in a serious relationship admitted to some sort of financial infidelity. The survey further found that spending between $100-$500 without telling their partner was okay, and 3% said that spending up to $5k without consulting their significant other was okay. My wife and I are actually very open about our spending decisions. I think that a big part of this has been that we’ve had joint finances since we got engaged close to 13 years ago. Since we’re almost always on the same page spending-wise, we don’t typically consult each other about minor purchases. That being said, we’ve never really defined where the minor vs. major cutoff lies. 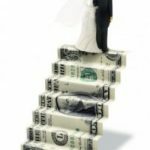 The article suggests that an “average” couple should draw the minor vs. major line somewhere around $200, though the optimal cutoff is likely to vary with your financial circumstances. What are your spending policies? And have you ever committed financial infidelity? My brother is close to bankruptcy, his wife has racked up over 30K of debt behind his back, on top of the 25K they’re already struggling to pay back. I do see this as cheating on him, I hate her for dragging him down with her and for behaving like a spoilt child who refuses to accept that her actions have consequences. I am also deeply disappointed that my brother can’t see that she is evil, and that he is sticking by her because deep down he too wants that lifestyle they can’t afford. Barring all cases of bipolar psychological disorders or extreme physical domestic abuse, HIDING DEBT from your spouse is in the SAME category as CHEATING! It is a deception, a breach of trust on the same scale. No, your spouse does not run the risk of bringing home cooties, or getting some bimbo knocked-up as in the case of an adulterous affair. However, your spouse will most likely bring home hardship, disgrace, instability, struggle, distrust, great expense, and the ringing of bill collectors all day and all night. Oh yeah, and donâ€™t forget all of the missed opportunities that go by while your working two jobs to pay back credit card companies at 29% interest. Worth it? C’mon people, has the collective character of our great country stooped so low in recent times? 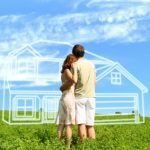 Are unnecessary goods, services, and keeping up with the Jones of more importance than the psychological, financial, and emotional stability within your very home? I am what you would call a saver. This is the fashionable distinction to make these days; either youâ€™re a SPENDER or a SAVER…whatever. Let me just say that I think this distinction is a load of crap. Either you are a responsible adult accountable for your actions, or you are behaving like an out of control child. The laws of money are based on simple mathematics that you learned in grade school. Apply them and you will reap success, forgo them and you will suffer more or less like those other fools out there right now getting foreclosed on. The banks and credit card companies donâ€™t care how emotionally needy you were while you drank your $6 latteâ€™s, bought a hummer, or just had to impress the neighbors with this, that, and the other thing. Unless you file for bankruptcy, you are basically on the hook, a slave to the lender. And another thing, the banks and lenders are smarter than you, they hire finance MBAs and PhDs who will work 80hrs per week figuring out how to get you in debt and keep you there. How do I know this â€“ EXPERIENCE. I was married to just such a person; she duped me three times in our 8yr marriage. Each time with a promise to change and that it would never happen again. I bailed us out of it each time, and when enough time went by and I let my guard down, she did it again. This third and final time I am forced to file bankruptcy, attempt to sell my house in a down market (all offers have been less than I paid for the home), my credit is ruined because she put my name on some of the cards which she never intended to pay, and to forfeit all of the sweat equity that I put into this home over the past four years of back breaking renovations that were done on nights and weekends after my 60 hour work week. My wife did commit financial infidelity many times and it ended our marriage. I got tired of trying to save for things and all the money being gone, The joint accounts being overdrawn and me covering the shortage from my account. Talking it over didn’t help. My trust was eroded and finally destroyed. And I found out that if you leave the joint account overdrawn to make her fix it, then the bank will take your money and close your account. Well, Mr. Thrifty Femme and I each have our own credit cards, checking and saving accounts and joint checking and saving accounts. Lol, I guess the likelihood of financial infidelity is quite high. I encourage Mr. Thrifty Femme to have his own accounts, but I’m also very nosy and will badger him until he tells me the balances ;o) We pull our credit reports together three times a year, so I would find out if he were running up huge debts. For our joint accounts we have designated “joint” credit cards that are used for joint needs only – some in his name and some in mine, and I track ever penny spent. I ask him wait a day if we are close to the credit card statement date and if we are getting close to the budgeted amount. I guess what I’m saying is I don’t really care how he’s spending his money as long as he isn’t racking up huge debt. When I was married, we had an agreed-upon spending limit for our individual purchases. Anything above that required consulting the other person. This made sense since we were older, well-established, and had each been on our own for many years and were fiscally responsible with, what we believed were similar spending philosophies. A few years into the marriage he did commit financial infidelity when he bought a car after promising not to pay the seller until the vehicle was actually running. (The seller was very shady) Then he hid bank statements for several months in an attempt to cover up what he’d done. When the statements failed to materialize, I accessed the account online and discovered many thousands of dollars missing. Oh, and this was only a year after he had an extramarital affair. I’ve seen a lot of articles about financial infidelity lately… Though it’s almost impossible to not commit it, unless you don’t like to buy gifts for your spouse? Of course, sometimes the amount spent comes out in the end, but it wouldn’t be a great surprise if they knew where you spent the money and how much was spent. If infidelity is simply something that would presumably be unapproved, then gift giving probably isn’t, but it’s pretty close. As for my own married life, my husband and I talk about every purchase we’re going to make, because usually we’ve been planning a little splurge and can’t help but get excited. Having a $200 cap would blow our tiny budget to smithereens pretty fast. Just about the only purchase we don’t consult on is our individual lunches during our respective work days. We both have an idea of how much the other spends, but it’s not regulated like other things. @ Eric. It’s sad that you have to take these actions as insurance against loss of your marriage but each of these things is a good idea for other reasons and no one would fault you for taking these steps. About the I-Bonds being in your name only, you might want to check into the laws of your state. If you live in a community property state your wife might have rights to those assets even if her name is not on them, but I guess she would have to know about them first. Infidelity is when you do something of which you know your spouse would not approval and would be a betrayal. @Rob’s example is not infidelity because (presumably) his wife would approve. We all know what our spouses would think was appropriate and what was not. My husband and I never really set any concrete spending rules, but we haven’t really needed to, it’s just more of an understanding that large purchases should be made with consent from both parties. Maybe financial infidelity instead should be defined as failing to maintain an adequate balance between spending and investing as approved by both husband and wife. I think investing too much can be just as destructive to a couple’s relationship as spending too much…if you marry someone who doesn’t value investing or spending as much as you do. 1. Have some cash around the house. A couple of hundred dollars will tide me over for a week or two in case I have to leave (or am kicked out). 2. Established a Roth IRA. Earnings aren’t reported on our taxes and the money grows. Currently, it is in a balanced mutual fund. 3. For the past six years, I’ve purchased varying quantities of I-bonds. Interest on I-bonds is not reported until you sell them. The bonds are in my name only. All of these total around $50k but that would be enough to get me a leg up in my new life….if I ever have to do that. Officially our number is $200 however in practice we discuss just about every purchase over $50. Maybe this is because we are in debt repayment mode so the “buy whatever you want as long as it is less than $X” just doesn’t make sense right now. I have always had a problem the $X spending limit because you could spend $200 every week without telling your partner and that $800 can blow your budget. It’s the spirit of financial responsibility to each other that is important, not just the “rules”. In my house I manage the finances and determine where any “extra” money goes and we discuss the overall plan every 2 weeks or so. If someone needs or is considering a major purchase it comes up during these meetings. Just a note about the lady and the 250k. For the numbers to work, she would be taking just over $150 per week back on groceries (3% apr over 25 years). Either her husband was clueless or they spent a lot of money on groceries. My husband and I have a rule that requires us to discuss and agree on any purchase over $300. For us, anything $300 and above is a major purchase and should be discussed in the context of our spending plan/budget. Additonally, discussing a purchase helps me (I’m the spender in the relationship) make sure I really need (or really want) the particular purchase and Mr. Sam is helpful in pointing out that I might not need it. Most of Mr. Sam’s $300+ purchases are at Home Depot and relate to our real estate investments. By discussing those purchases we make sure we are managing our real estate business expenses.